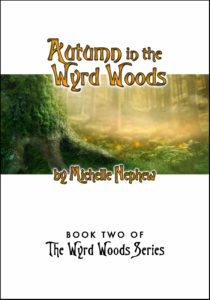 I’m working hard writing the next installment in the Wyrd Woods series, and thought I’d share the design for the cover. Sophie, Emma, and Jack all loved it! The current Humble Bundle features my own work in the Kobold Guide to Board Games Design at the $8 level. Grab it before it’s gone at humblebundle.com/books/puzzlecraft-books! I was pleased that my Wyrd Woods series got a mention in the local Duluth News Tribune over the weekend. Read it now! Summer in the Wyrd Woods RELEASED! 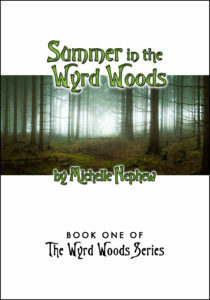 Summer in the Wyrd Woods went on sale Sunday on Amazon, Google Play, and Smashwords. The first ebook in the Wyrd Woods series, it tells the story of Sophie, Emma, and Jack as they explore the strange and wondrous Northwoods around their family cabin, full of fantastical creatures and exciting adventures. 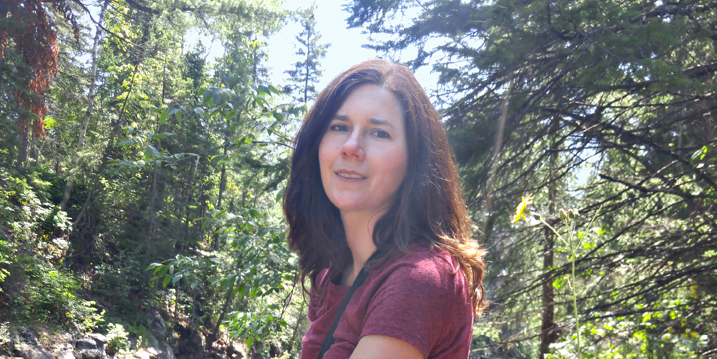 Michelle Nephew has her Ph.D. in English Literature and is a co-owner of publishing company Atlas Games. She spends her weekends with her husband and three kids at their cabin in Minnesota’s magical Northwoods. When my kids first started reading — REALLY reading — I had trouble finding really good chapter books for them. I was looking for chapter lengths, vocabulary, and subjects appropriate for young readers just starting their reading adventures, which seemed few and far between. So I wrote my own for them! Today I’m pleased to make available for pre-order the first ebook in my self-published Wyrd Woods series, Summer in the Wyrd Woods. Join Sophie, Emma, and Jack as they explore the strange and wondrous Northwoods around their family cabin, full of fantastical creatures and exciting adventures. You can preview and pre-order it now on Amazon, Smashwords, and Google Play. If you enjoy it, please leave a 5-star review! 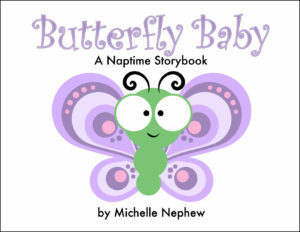 I’m pleased to release Butterfly Baby, an adorable picture book for nap time. It was inspired by my own three “butterfly babies,” who aren’t really babies anymore. But when they were, they often refused to nap even when in desperate need of sleep’s transformative powers. You can find it on Amazon, Smashwords, and Google Play. I hope you enjoy it! Playing with Power Available Everywhere! When I got my PhD, there was no such thing as a Game Design program at any university. That didn’t stop me. I wrote my dissertation on authorship and roleplaying games, anyway. There was also no way to self-publish your dissertation as an ebook. So it languished in obscurity until eventually Warehouse23 did me the favor of hosting it. But times have changed and as of today Amazon, Google Play, and Smashwords make it possible for even non-gamers to find and preview my dissertation, and even download a copy. Yay technology! I’m starting off with a bang … revealing the cover of my upcoming Summer in the Wyrd Woods book. I hope you enjoy it as much as the real Sophie, Emma, and Jack did! Copyright 2018 Michelle Nephew. All rights reserved. Permission granted to use images and short excerpts for review and promotional purposes. Visit the Press Area for high-rez images.